The dog days of summer are upon us, but the good news is that delectable garden-fresh tomatoes are plentiful. 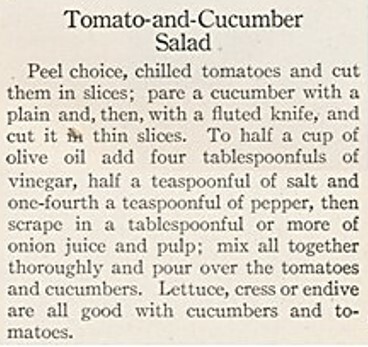 So I was thrilled to recently find a hundred-year-old recipe for Tomato and Nut Salad. 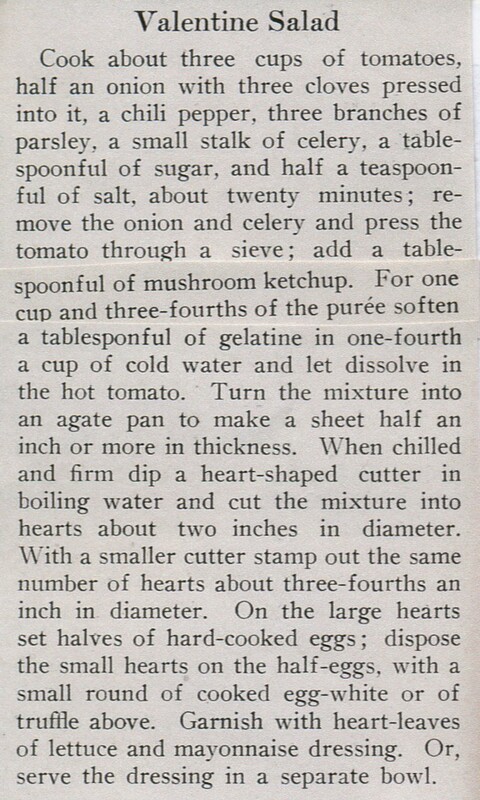 This is really a stuffed tomato recipe. 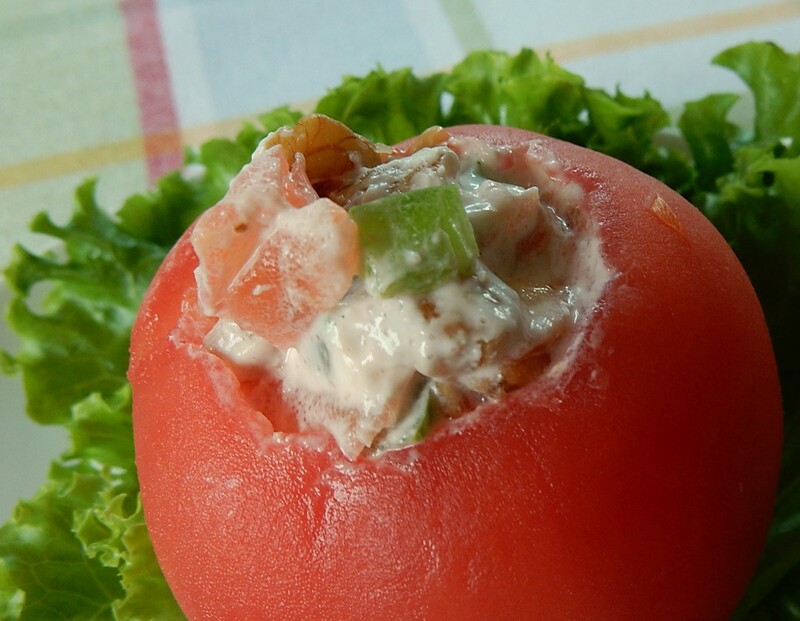 The tomato is stuffed with a mixture of chopped tomatoes, walnuts, and green pepper, with a little mayonnaise for added flavor and to bind everything together. The crunchy stuffing reminds me of Waldorf salad – though that isn’t exactly an accurate description since there are no apples in this recipe. The recipe calls for peeling the tomato. I almost skipped this step- but it’s worth doing. 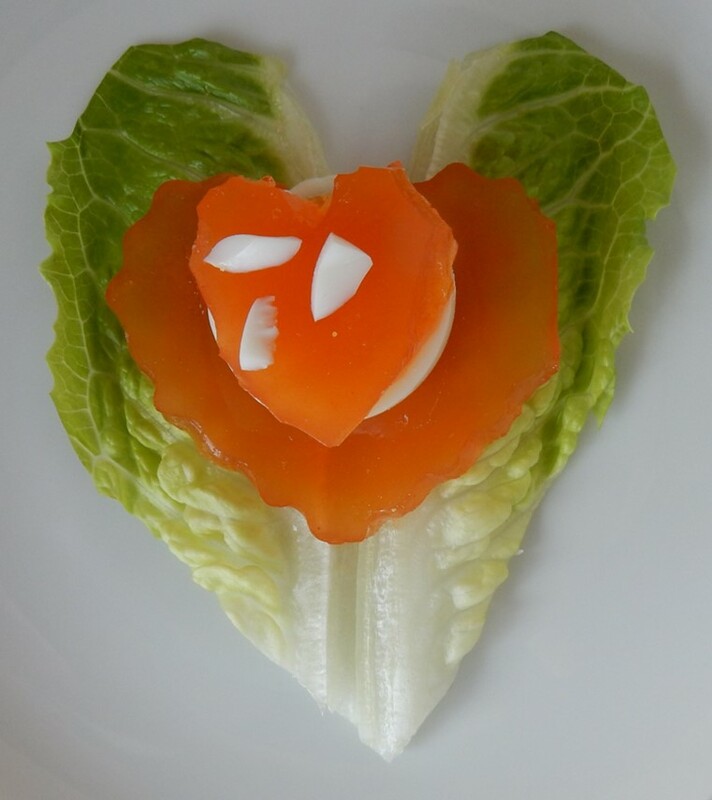 The peeled tomato has a lovely velvety surface which adds to the presentation. Put a pan of water on the stove; bring to a boil. 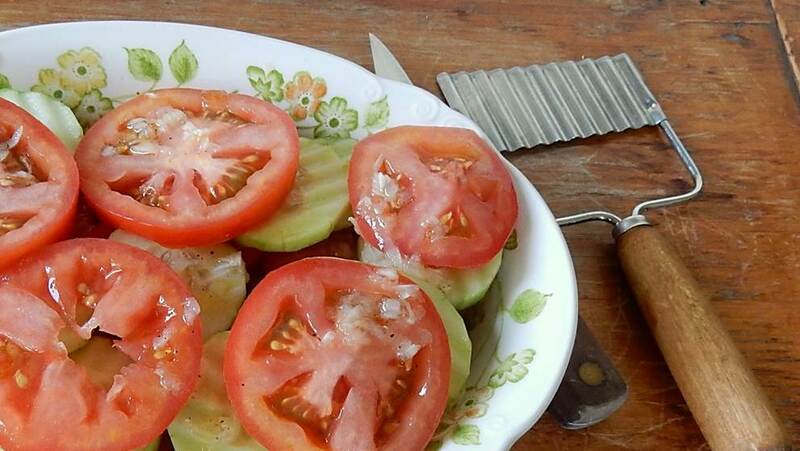 Drop the tomato into the water for about 15 seconds: remove from heat and gently slip the skin off the tomato. Using a knife remove the stem end and the firm core from the tomato and discard. Scoop out the tomato pulp and seeds, place in a strainer and drain off any excess liquid. Place pulp in a bowl; add the walnuts and green pepper. Stir in the mayonnaise, then stuff the tomato with the mixture. If desired serve on lettuce leaves.